and CE marked with agency approval of notified body IMQ S.p.A. 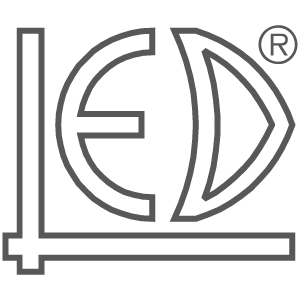 LED SpA, has been certified since 1998 of ISO 9001:94 and UNI CEI EN 46001:96 regulations (“Planning, production and assistance of electro-surgery equipment, physical therapy and medical aesthetics”), and from 2003 is equipped with a UNI EN ISO 9001:2000 and UNI CEI EN ISO 13485 (ex EN46001) Quality Certificate Management System for “Planning, production, sales and assistance of electro-surgery, physical therapy, medical aesthetics equipment and relating accessories and equipments for aesthetic purpose ”. “Design, production, trading and after sale service of equipment and relative accessories for electrosurgery, electrotherapy, magneto-therapy, ultrasound-therapy, presso-therapy, therapeutic laser, micro-wave therapy, equipment for CO2 gas supply, electrostimulators, medical aesthetic and aesthetic equipments”. In the month of July of 2013, it has been the passage of norm ISO 13485 to the version of 2012 and from July of 2016 the application field is following: “Design, production and after sale service of active medical devices for electro surgery and physiotherapy and related accessories also sterile and not, and of equipment for aesthetic use”. See the last Quality’s Certificates. The procedures of the Quality Management System are constantly applied in each phase of the product’s development realization and is controlled by its own Quality Office. All the equipments meet the European Norms’ regulations on specific and general safety rules for every use, and they all bear the CE mark with the approval of the Notified Body IMQ S.p.A.